.YAMILA REGUEIRA. : Ganadoras!!! / Winners!!! 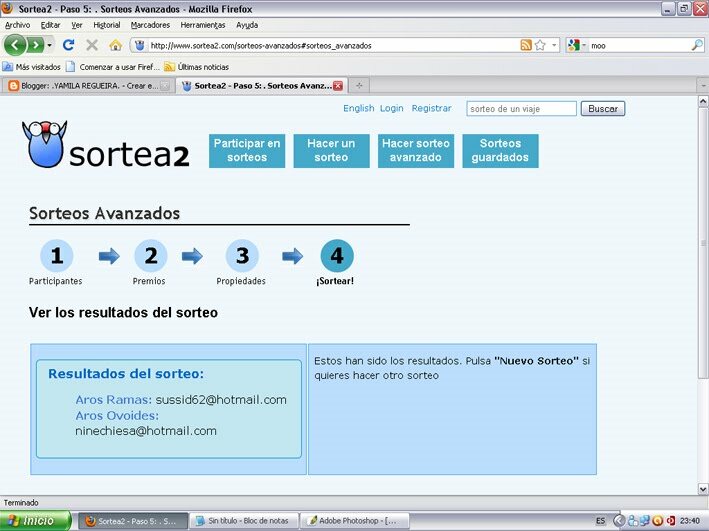 Mandenme un mail para arreglar y Muchisimas Gracias a todas x participar. I will go over this so there are no doubts. I used this great and simple page to do the raffles. 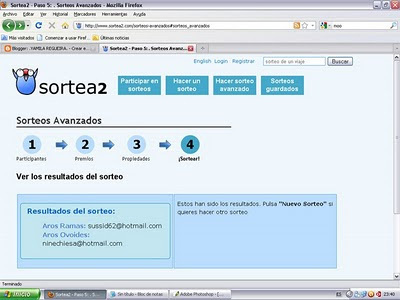 (http://www.sortea2.com/sorteos-avanzados) So there’s no cheating. Send me an email and many thanks to everyone for participating.